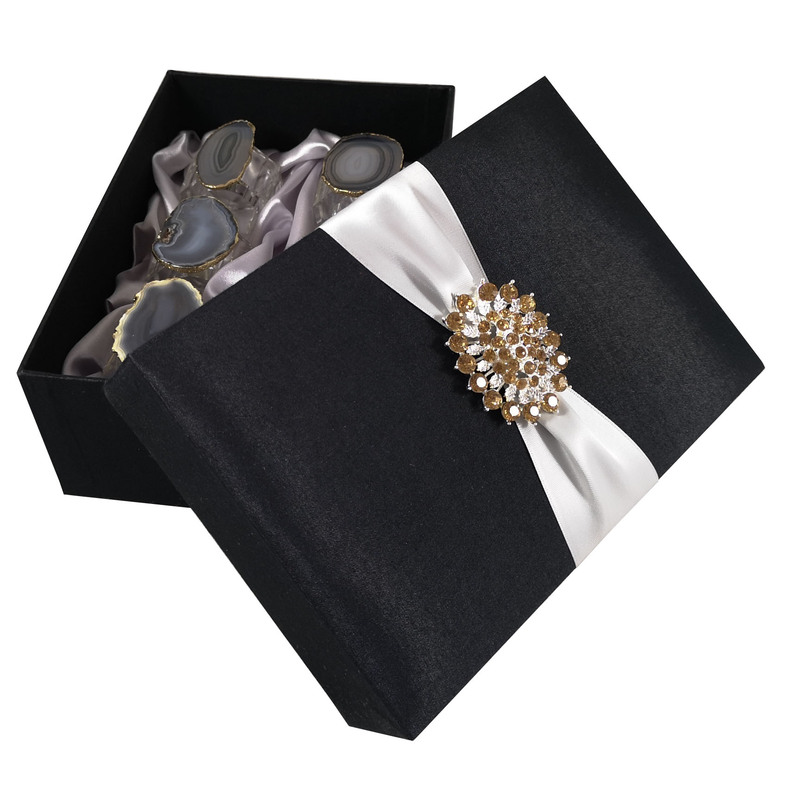 Inviting loved once or respected people just got more exciting. 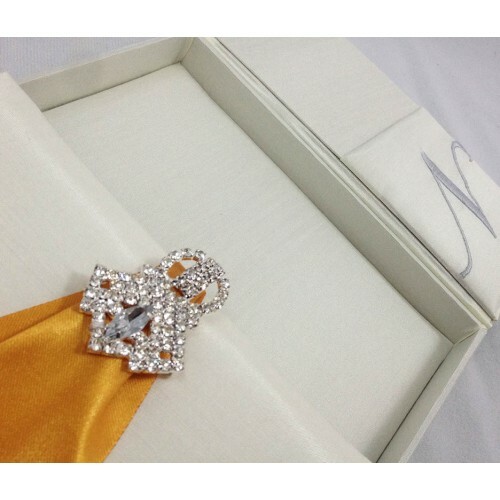 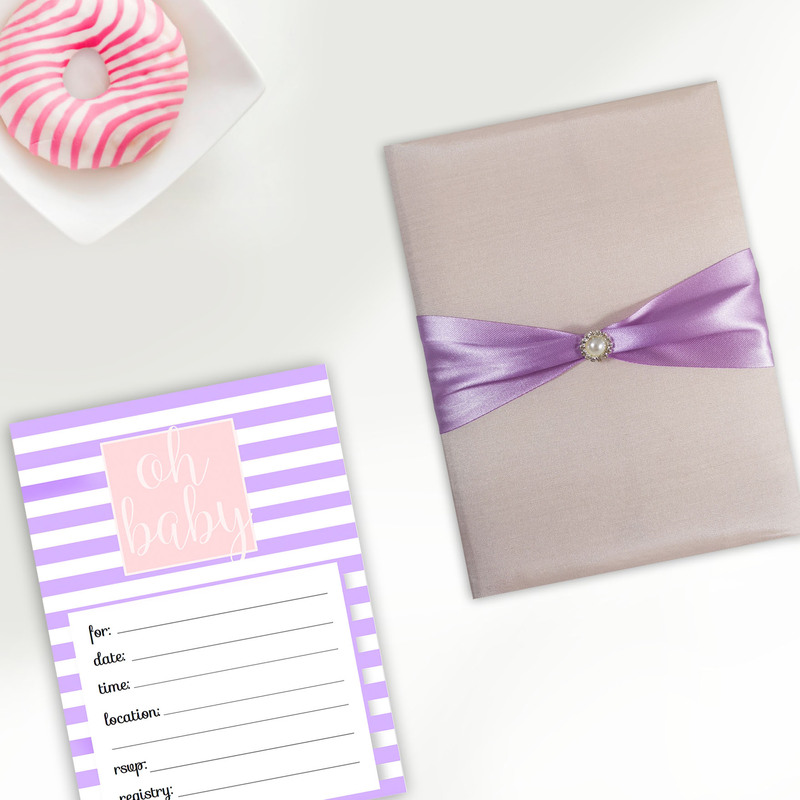 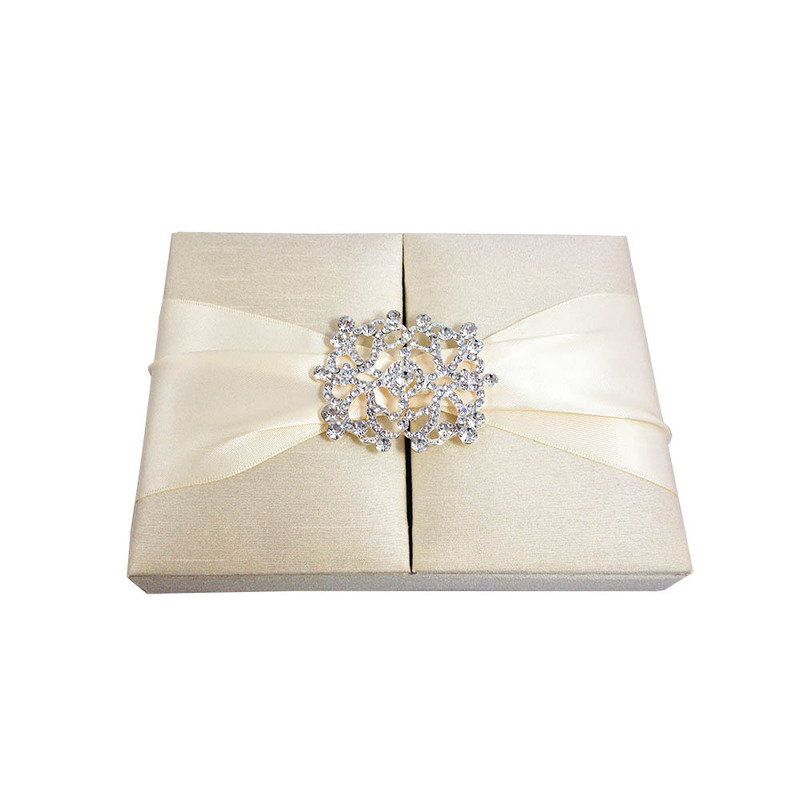 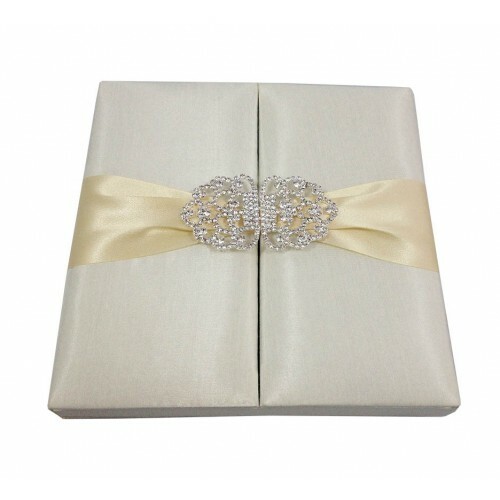 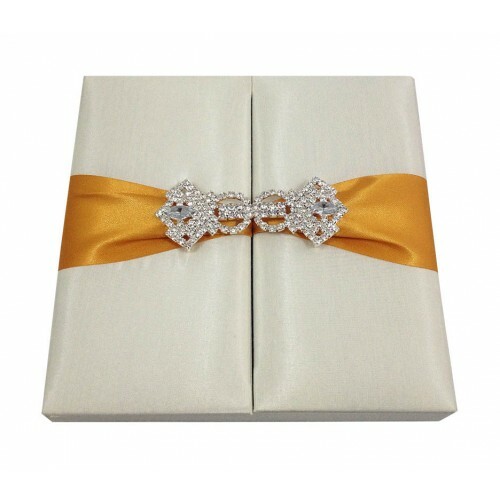 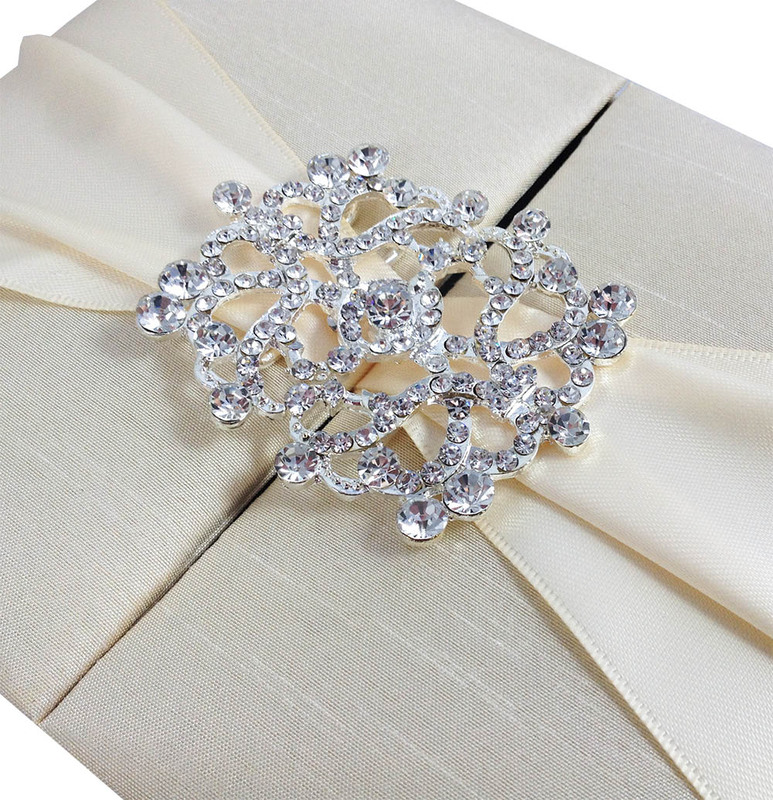 Invite with boxed wedding invitation, embellished with large diamante clasp. 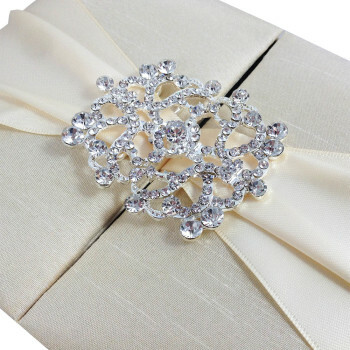 There could not be a more elegant way doing it. 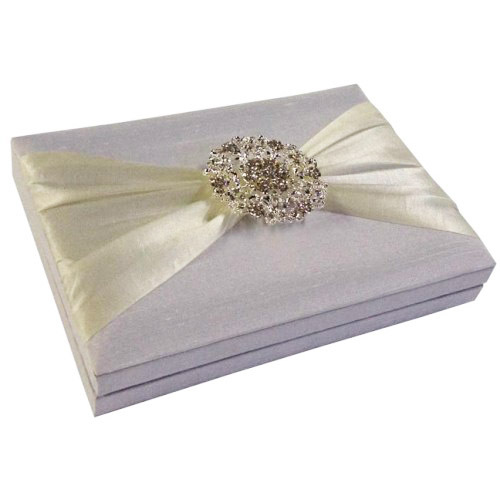 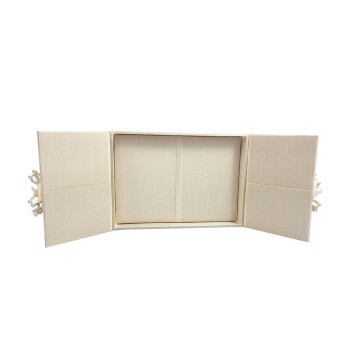 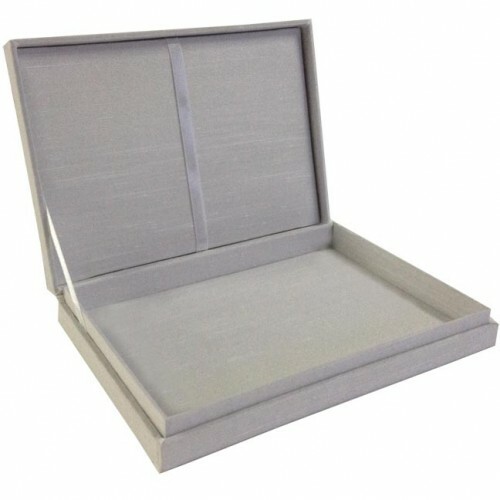 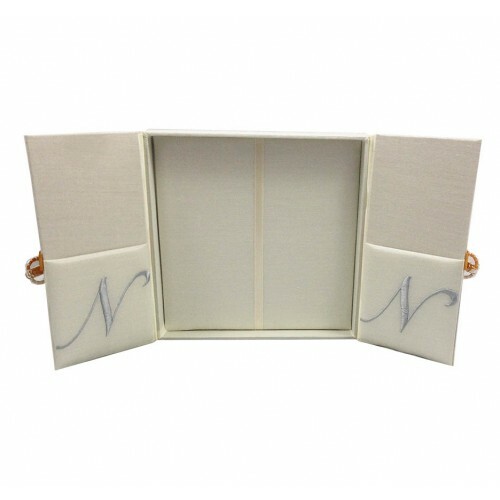 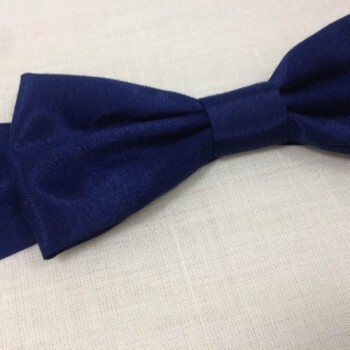 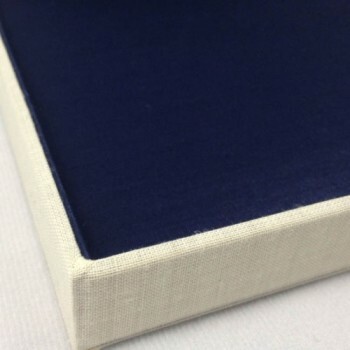 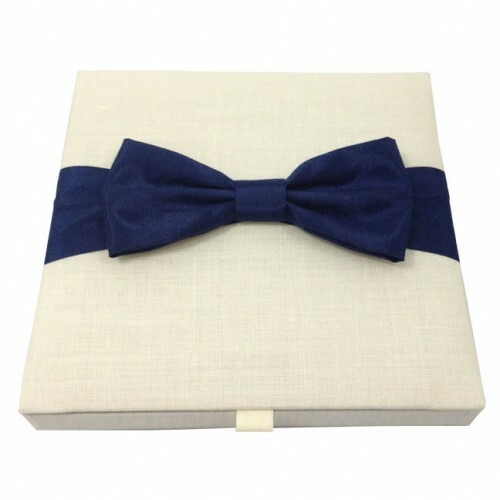 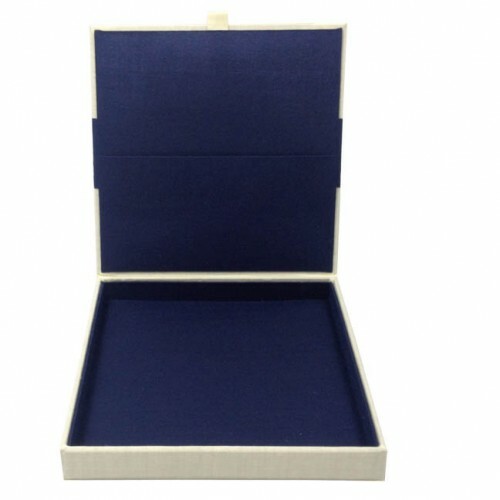 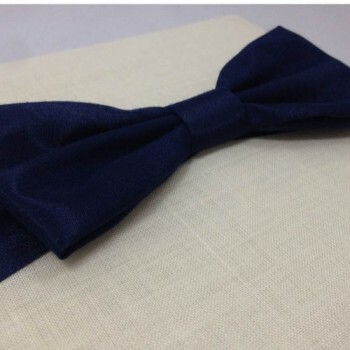 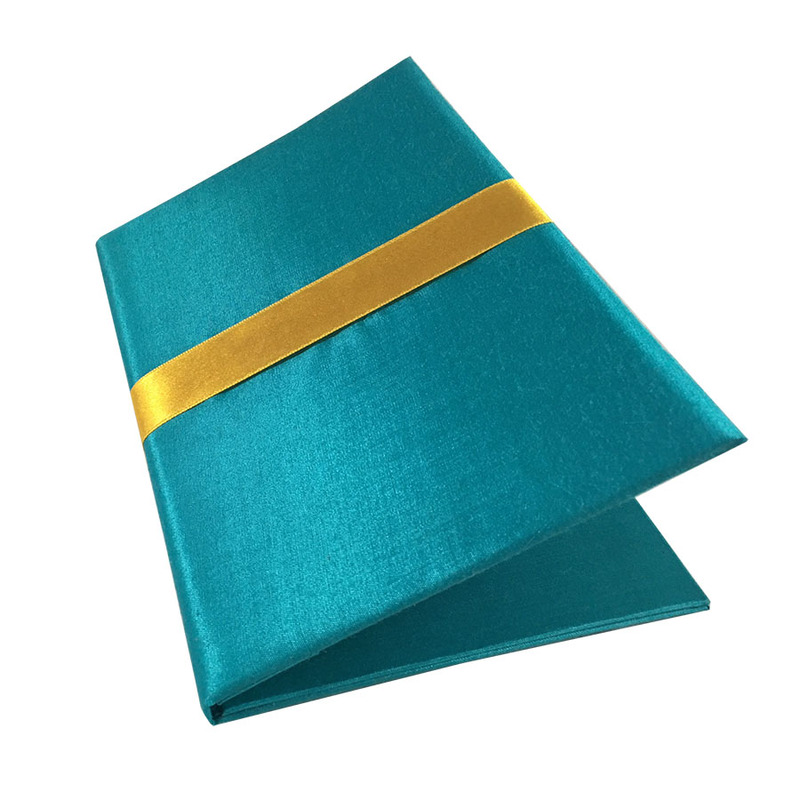 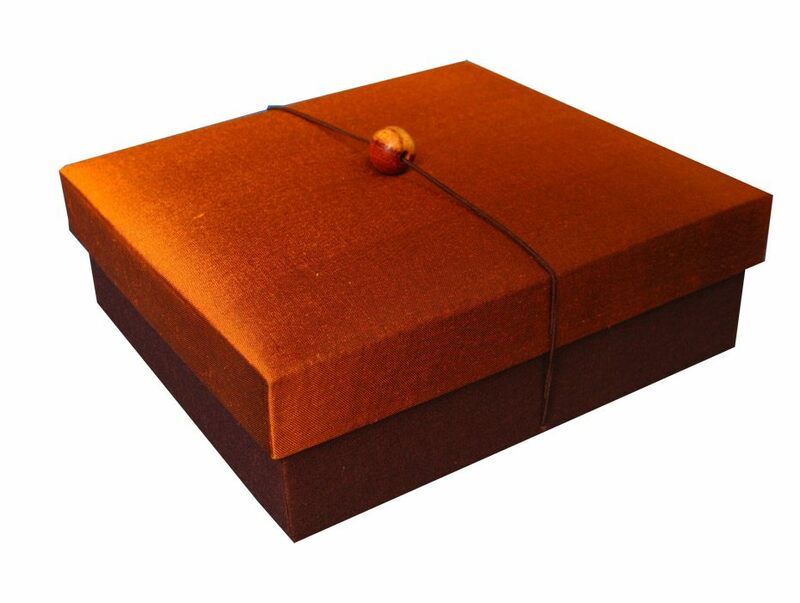 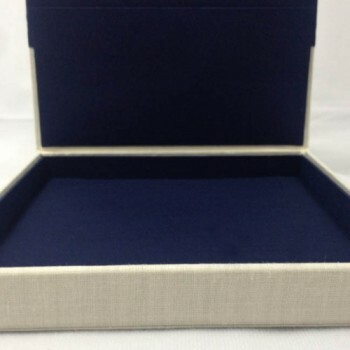 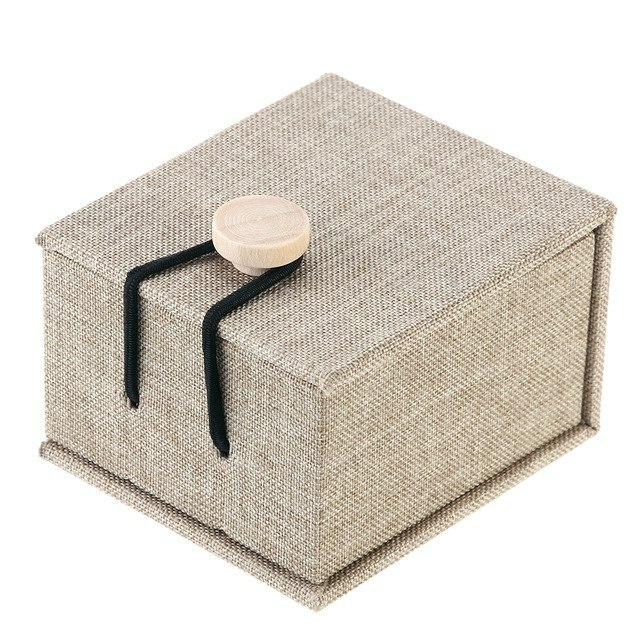 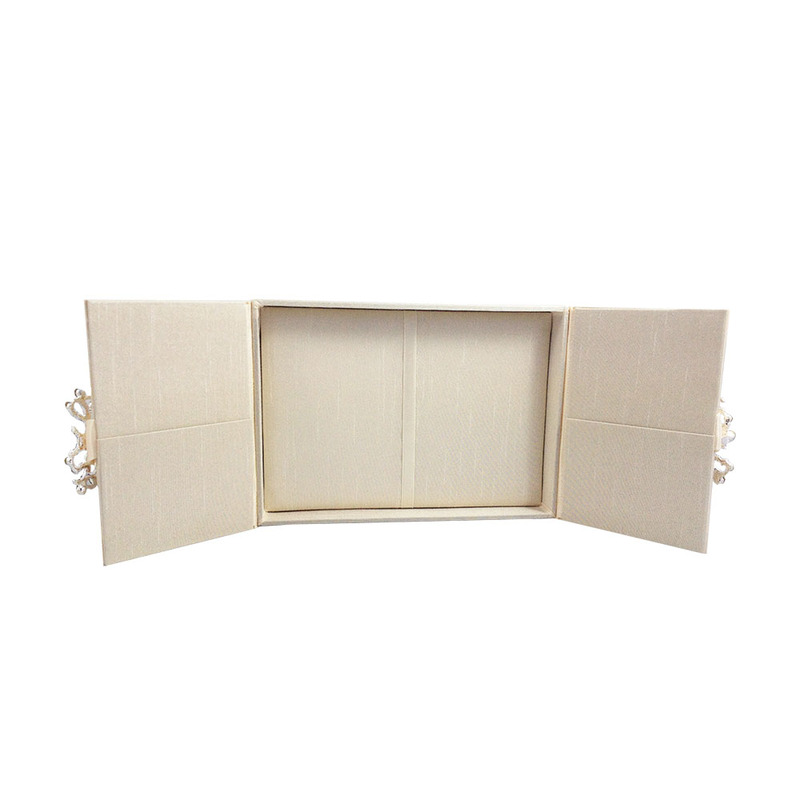 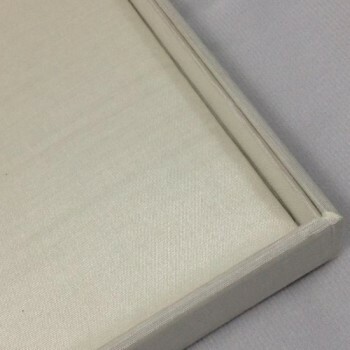 For the featured product we have used pure dupioni silk, padded the box on the inside and outside and used highest quality double faced satin ribbon. 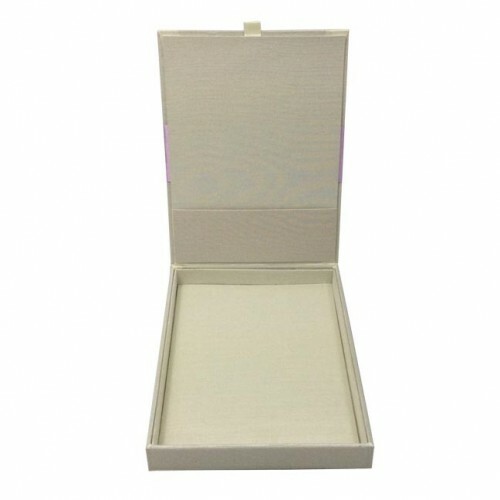 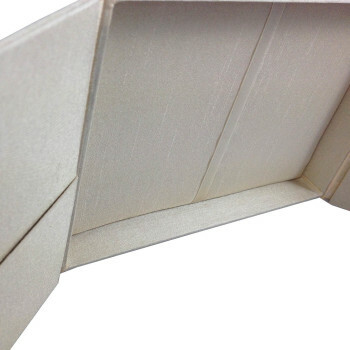 You can already see the high quality and attention to detail we put into this new box creation. 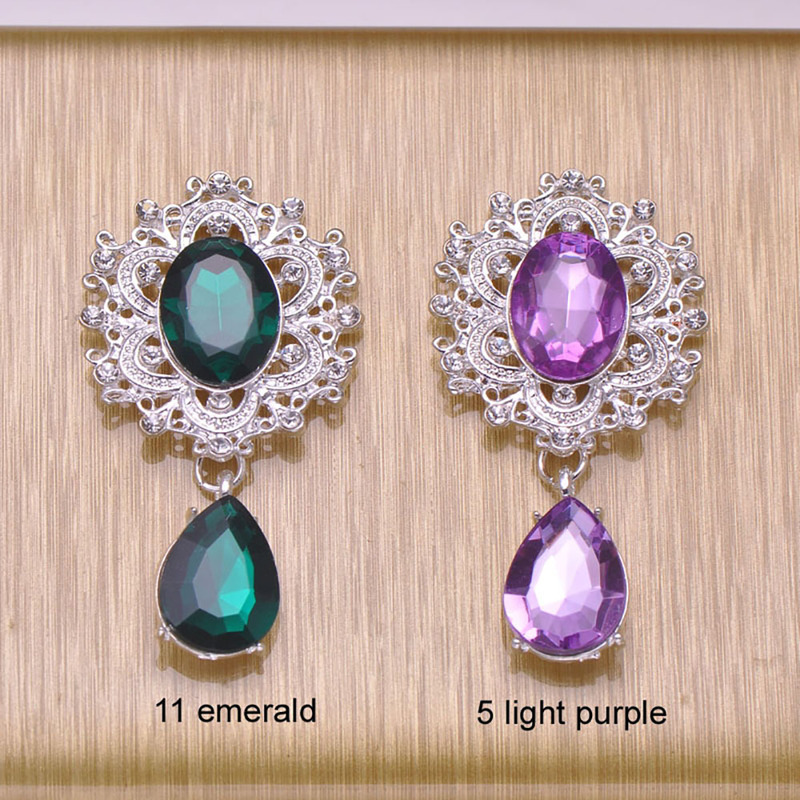 The design comes in various colors, not as many colors as available for faux silk but also here plenty of choices. 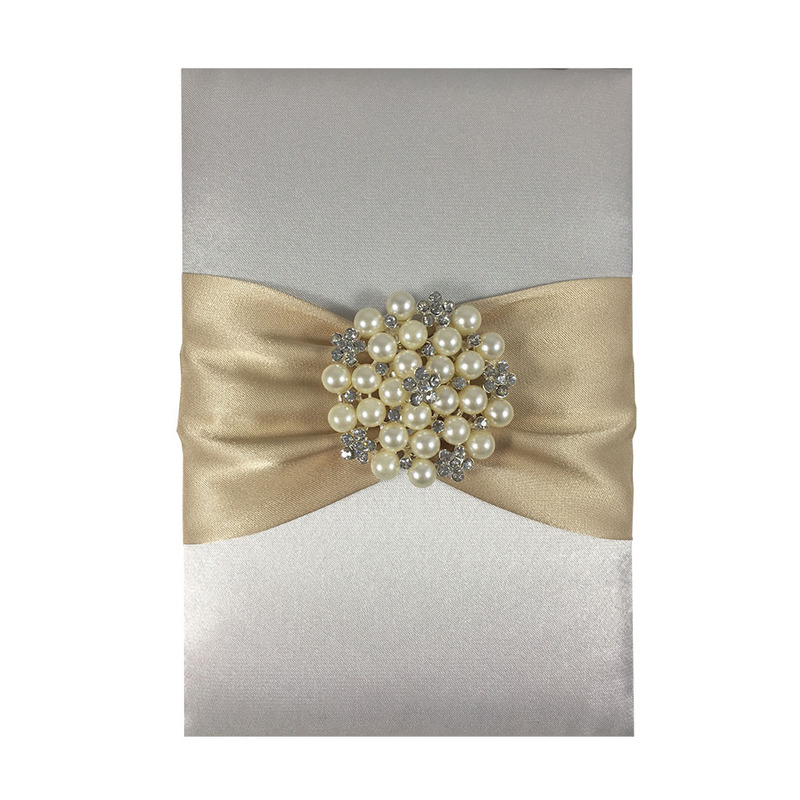 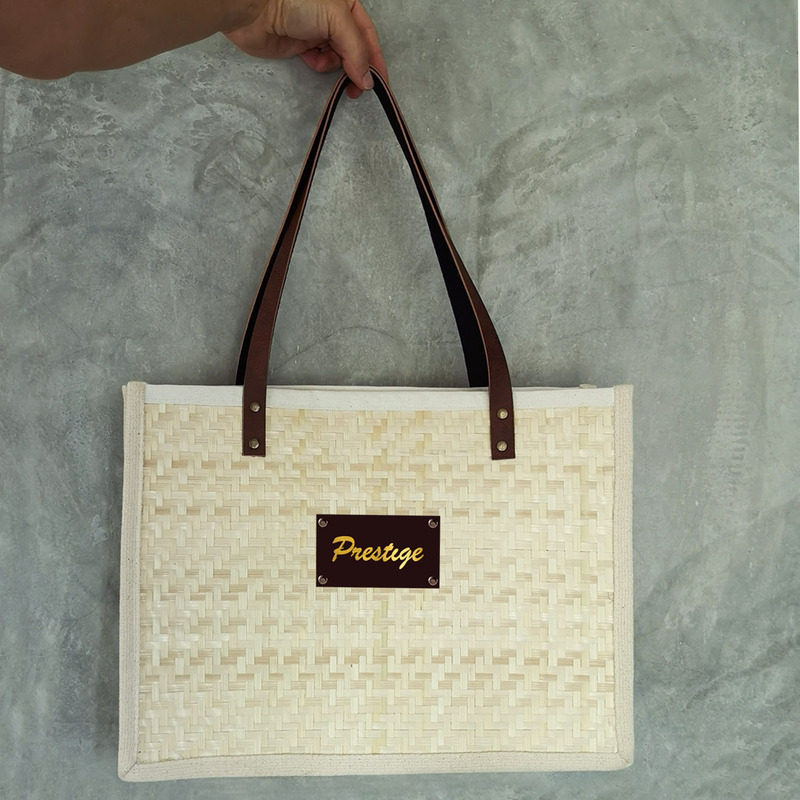 Shown on the picture in cream with matching color ribbon. 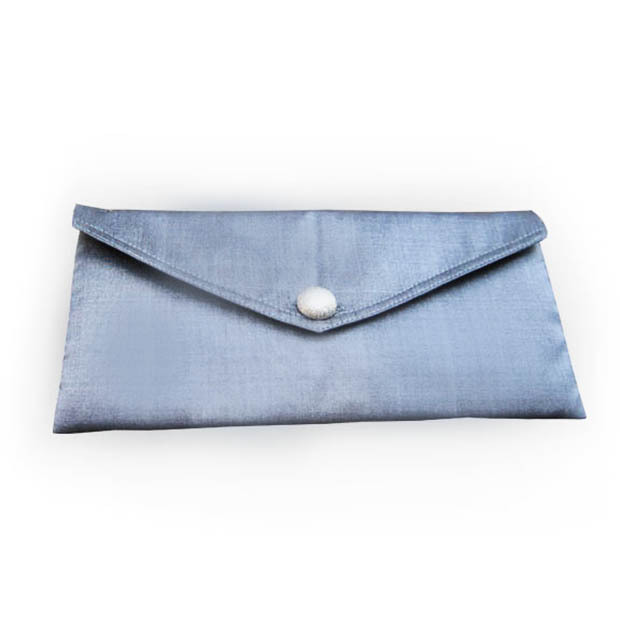 What else, the interior has our classic pocket holder behind each door which allows clients to place their RSVP cards elegantly into each pocket. 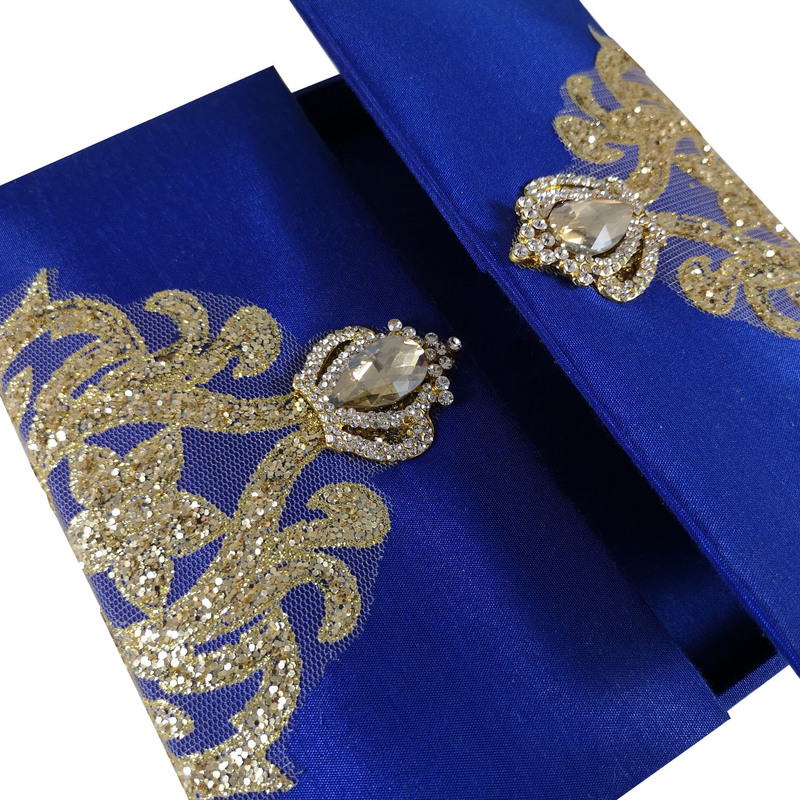 The bottom part can be designed to your requirements with either ribbon holder on corners, in center or maybe a decent small extra pocket. Invitation pads, monogram embroidery or different brooch embellishment can be ordered upon request by our clients. 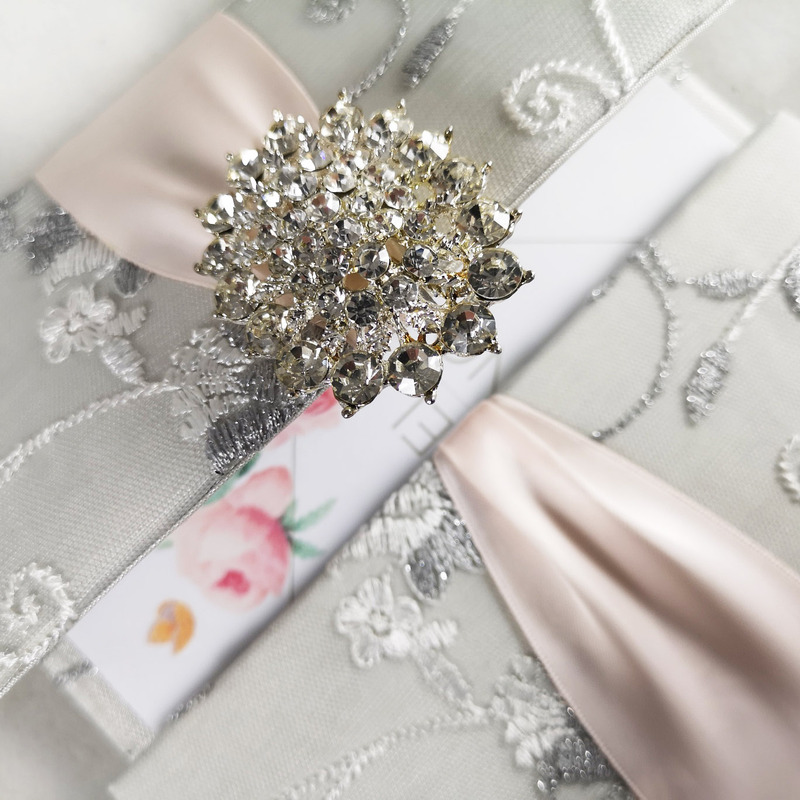 Invite your guest with invitation cards placed into this super stylish over the top wedding invitation creation by Dennis Wisser. 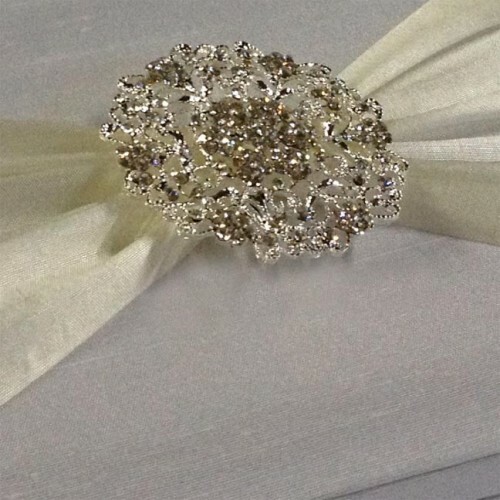 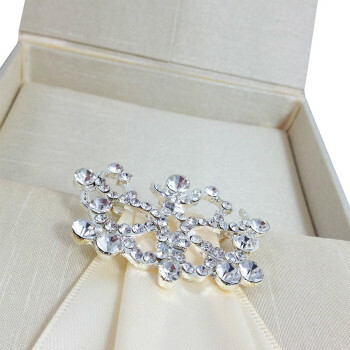 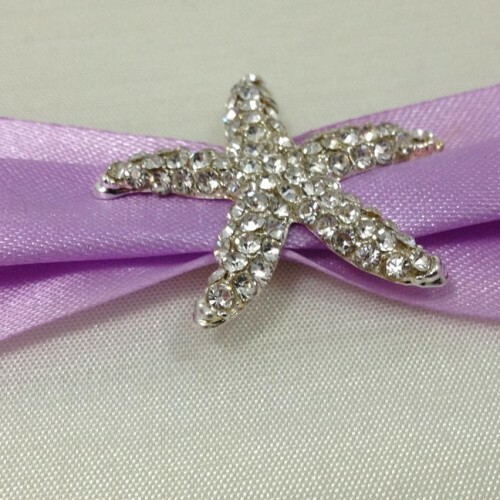 Others: Large diamante clasp, 3 inches wide double faced satin ribbon, high end quality, double faced.